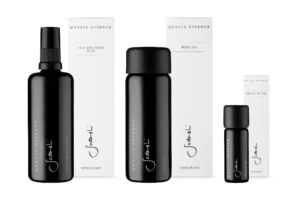 Sodashi and qualia are excited to unveil a signature edit of ‘qualia essence’ wellness products created by Sodashi exclusively for the luxury resort; the fruits of a collaboration between the two iconic Australian eco-luxe brands. The inspiration behind this bespoke edit was to create a powerful blend of indigenous Australian botanicals to enhance the unique wellness offering at qualia, establish a sense of place and anchor guests aromatically to their qualia experience on Australia’s tropical Hamilton Island. Formulated intuitively by Sodashi Founder Megan Larsen, drawing on her 30-year knowledge of aromatherapy, naturopathy and Ayurveda, using the purest natural ingredients, the fragrant blend contains Fragonia, Australian Sandalwood, Lemon Myrtle and Eucalyptus Peppermint. Fragonia and Australian Sandalwood relieve tension and emotional blockages, whilst Lemon Myrtle and Eucalyptus Peppermint work in synergy to uplift and revitalise the mind and body. The fragrant qualia essence blend boosts vitality and promotes a deep sense of calm and renewal. This exceptional and distinctive edit is available exclusively at spa qualia, and like all Sodashi products is 100% natural, non-toxic and cruelty free. The range includes a revitalising Face and Body Mist, an exquisitely fine Body Oil and a concentrated Aroma Blend designed especially for use exclusively in the spa’s wellness treatments. A retail offering is also available for purchase only at spa qualia, allowing guests to take a piece of their qualia experience home with them.